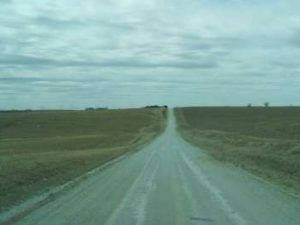 Why does a rural road in Nebraska appear on current lists of the scariest places in America? How come there is so much documented paranormal activity along this creepy byway? The following scenario offers some clues as to how the legend of Seven Sisters Road began. In the early 1900s, down around Nebraska City—about an hour south of Omaha—a young man lived in an isolated house at the end of a long dirt path with his parents and seven sisters. Of late the young man and his folks were not seeing eye to eye on many things, their “discussions” growing louder and more heated. His sisters were no help, always siding with their parents, much to his chagrin. One day, the young man could stand it no more. He ran from the house, past a number of hills surrounding their property, to a secluded spot in the nearby woods, where he sulked for much of the day. As the afternoon waned, he heard the roar of his parents’ car as they headed off to town for a church activity. Once they were out of sight, he returned to the house. Turning on the charm he lured his sisters outside, one by one. 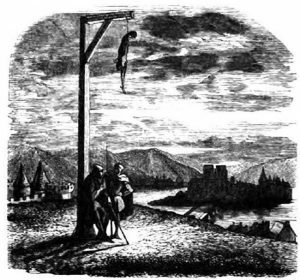 He overpowered them and hung each one atop a different hill. Some died slowly, their screams resounding through the hills even before others had the nooses tightened around their necks. After a while, the screams faded. A true story? Or an urban legend? Who can say—though over time the story was retold with a few variations. Also over time, the dirt path was widened and became “L Street” on local maps. But to those who live in the area it has always been—and continues to be—called Seven Sisters Road. Perhaps that is because, to this day, the screams of the sisters can still be heard by anyone daring—or crazy—enough to drive the road at night. A few of the hills have long since been razed, some of the trees in the woods cut down, but reports of women screaming are still made. Searches through the woods, and also in a nearby cemetery, reveal nothing. But if these sisters were indeed murdered along this road, then their tormented spirits remain trapped there. Rather sad, when you think about it. From the time the sisters’ bodies were cut down from the trees, reports of paranormal activity have abounded, especially after “L Street” was opened to traffic. In addition to the screams, people have reported bells ringing. As searchers near the apparent source—again, the old cemetery—the ringing stops…and nothing is found. Many cars have stalled out on Seven Sisters Road. Headlights dim on their own, and they do not grow brighter until the car has turned off the road. One couple’s car stopped dead, and as they looked under the hood and found nothing wrong, loud screams from the hills assailed their ears. It went on for a long time, and when it finally stopped, the terrified couple managed to start the car and speed off. One local, out hunting in the woods at dawn, spotted a figure in the distance staring at him…through red, glowing eyes. The guy stood transfixed for a couple of minutes, until the creepy figure turned and hurried off. The haunted road is also known as L Street. It would be great if, somehow, the tormented sisters could move on peacefully beyond this realm. 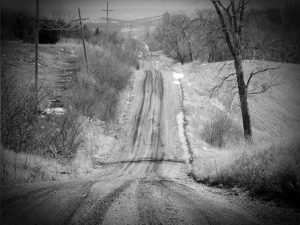 But until then, their spirits will continue to haunt Nebraska’s Seven Sisters Road.